"Psychoanalysis and Buddhism is an extraordinary book. While Jack Engler's brilliant opening essay sets the bar high for the other contributors, the entire volume is full of wonderful surprises. 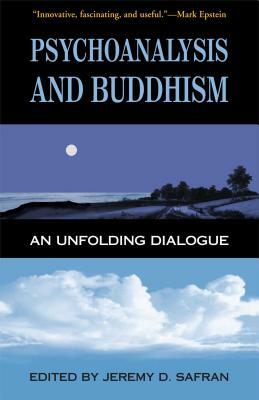 Chief among them are the contributions of many of the respected psychoanalysts, none of them known for their interest in Buddhism, who consistently defy expectations and push the thinking of their Buddhist colleagues to new horizons. This is a beautifully conceived work: innovative, provocative, fascinating and useful. Jeremy Safran deserves much praise." "This rich and important book is a landmark for both disciplines." "A breakthrough book that will make all readers reexamine their thinking about psychoanalysis and religion." "Certain to become the emblematic book of this burgeoning relationship, given the range of cutting-edge psychoanalytic views represented, the beautifully edited dialogue format, and above all the urgency of the crisis of meaning in Western culture."